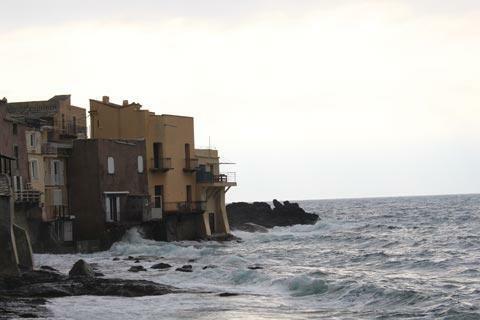 The fishing village of Erbalunga is a small village on the coast of Cap Corse, about 10 kilometres north of Bastia and one of the more important of the destinations as you tour the peninsula. 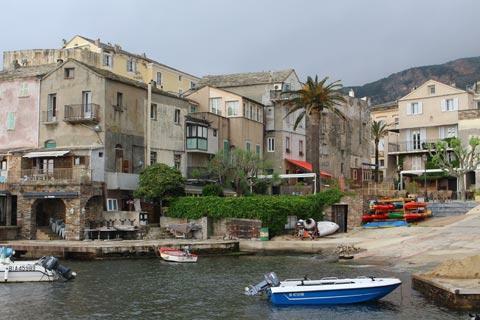 Erbalunga is quite a small village and does not take long to explore but the combination of the quaint historic centre and the unspoiled port make it a popular and interesting destination. 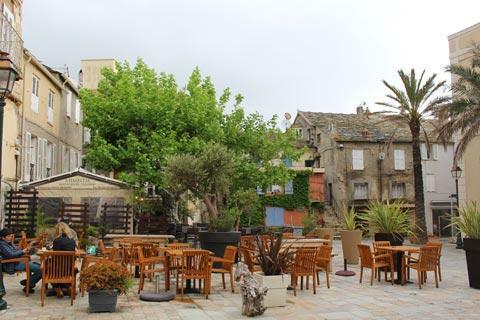 There is a large car park next to the main road in the centre of Erbalunga, the best place to start your visit. France This Way comment: like Bastia to the south, Erbalunga is largely unrenovated so its charm comes from its authentic, unspoiled character. 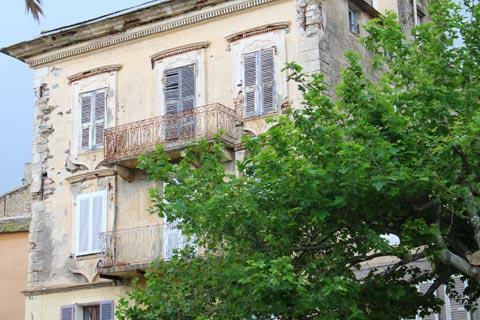 It has the look of a village where one day all the houses around the port will be painted bright colours and the old town full of tourist shops - so enjoy its quiet charm while you can! 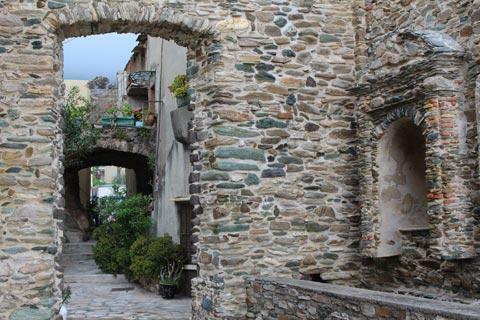 From here you cross the road and walk into the streets of Erbalunga old town, a pedestrianised area. Here you will see an open square surrounded by trees and large townhouses as well as two or three cafes where the locals gather. In the surrounding streets, which all seem to end up at the port sooner or later, there are smaller cottages and alleys with ancient stone houses. There are not very many easy to access beaches along the coast of Cap Corse but just north of Erbalunga there is a long pebble beach. Erbalunga is the unlikely centre (because of the size and location of the village) of a music festival that attracts some of the more popular French musicians and popstars in the middle of August each year. If you have the chance to be in Erbalunga on Good Friday you will have the chance to see a very ancient tradition when a hooded fraternity led by penitents leaves the village early in the morning in a procession to make a tour of the local communities before returning to the village. A further formal ceremony and ritual is held in the evening. I am told that it is rather less evocative than you might expect if you have seen movies with hooded confraternities but still an unusual sight! Erbalunga is actually part of a commune called Brando, which also includes the village of Lavasina four kilometres to the south, with a franciscan monastery and a small pebble beach; the medieval village of Pozzo, on the slopes of the hill behind; and the small medieval hamlet of Silgaggia, also hidden in the forested hills to the west. 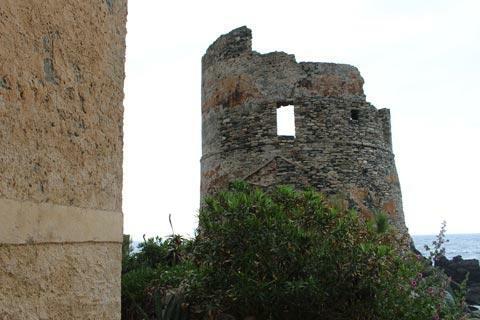 If you take a diversion from the Cap Corse coast road and drive a few kilometres inland from Erbalunga along the D54 there are two historical monuments of interest: the ruined castle at Castello and the Chapel Notre-Dame-des-Neiges (signed Santa Maria di e Nevi). 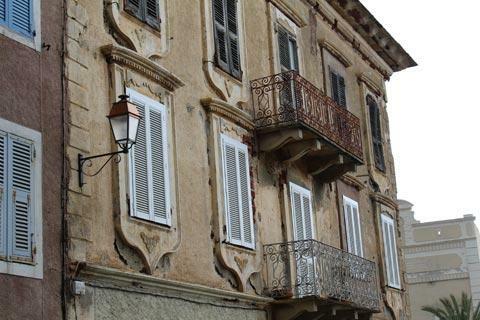 Of course, you will want to visit Bastia while you are in this region. 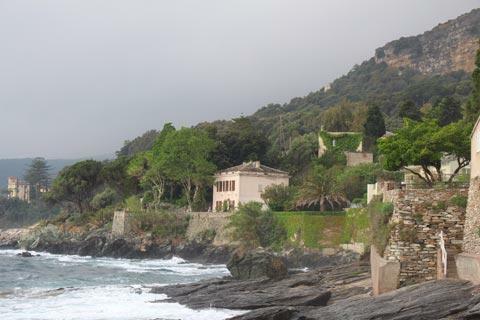 See also the Cap Corse guide for details of the highlights elsewhere around the peninsula.